Excited about our research? Join us today! Now accepting graduate applications for Fall 2019! Or click here for undergraduate research. 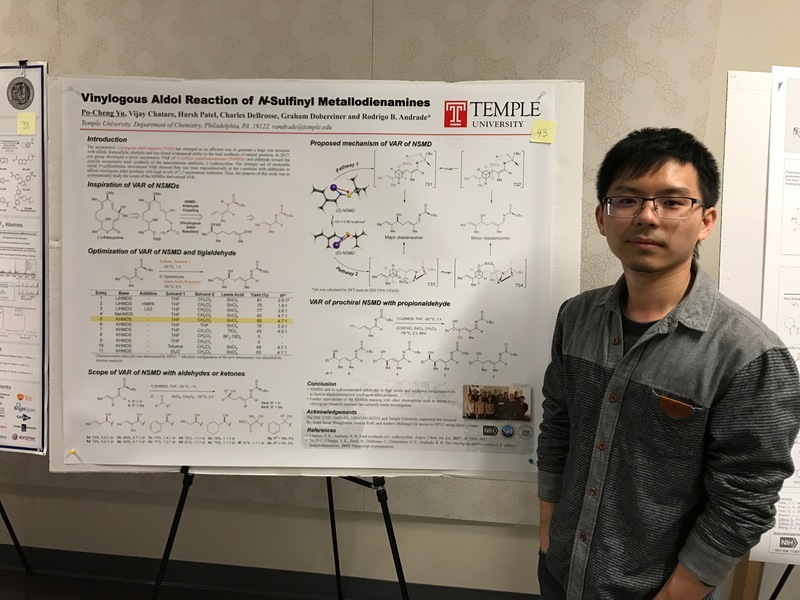 Xiao, Po-Cheng, and Alex presented their research at the Philadelphia Organic Chemists Club’s Graduate Symposium at the University of Pennsylvania before a seminar by Dr. Gregory Ott of the applications and synthesis of N-N-bond containing heterocycles. 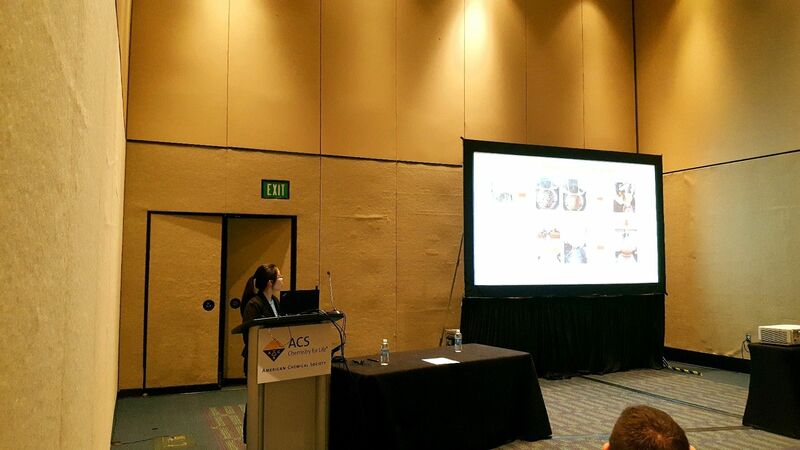 This month, Thi was awarded the CARAS Travel Grant Award, which funded her trip to present at the Division of Chemical Education Undergraduate Research portion of the ACS National Meeting in Orlando, Florida. She was also awarded the Philadelphia ACS Scholaristic Achievement Award as well as the Herbert M. Winegard Memorial Award for the highest Chemistry GPA in her graduating class! Congratulations to Alex for passing his fifth and final cumulative exam! His passes included three exams in organic, one in inorganic, and one in biochemistry. 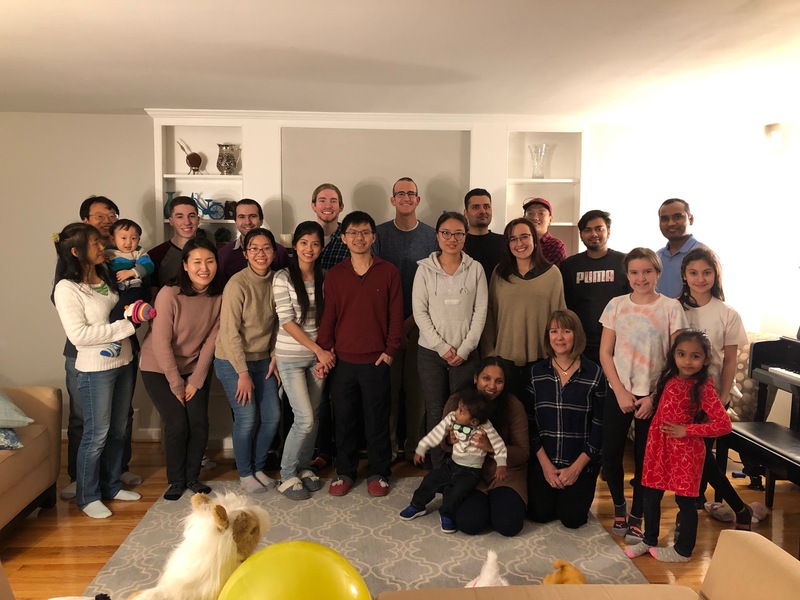 The group celebrated the beginning of a new year with the annual New Year’s Party at Rod’s home with dinner, desserts, coffee, and many different types of tea! 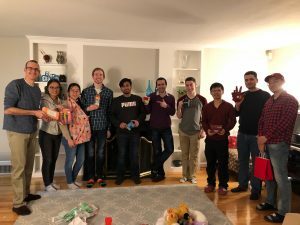 The group reinstated a tradition of a Secret Santa gift exchange and were joined by previous group members and their families with some surprise appearances! 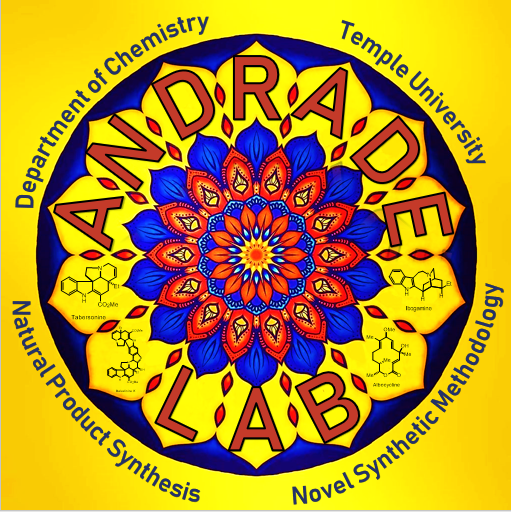 The Andrade Lab has a fresh new logo for a fresh new year, as well as a new website layout with updated research and group member tabs. Check them out! 12.12.18 The Andrade Lab would like to extend a warm welcome to our new undergraduate researchers – Nathan Mackouse and Alba Fombona! 12.04.18 The Andrade Lab would like to extend a warm welcome to our new graduate students – Anupam Karmakar and Jinfeng Kang! 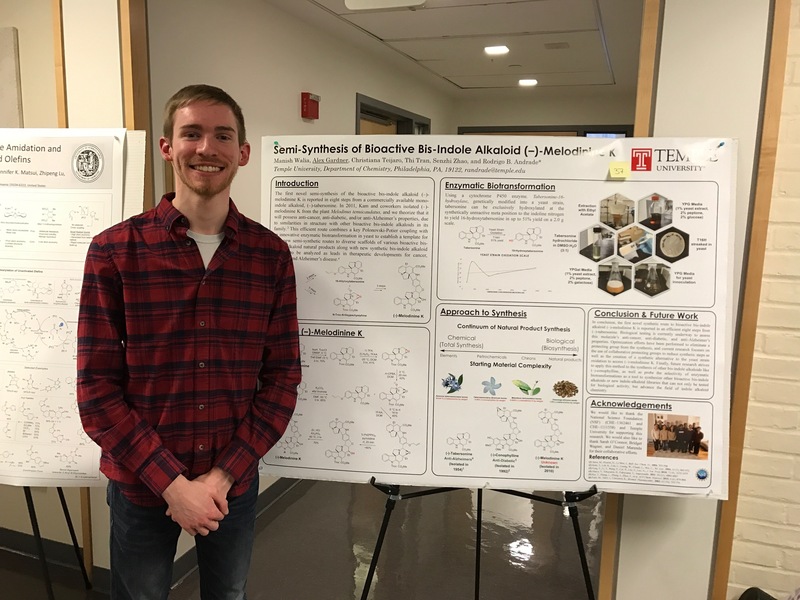 11.06.18 Congratulations to Alex for successfully completing his Literature Seminar, “Transition Metal-Catalyzed C-6 C-H Functionalization of Indoles”! 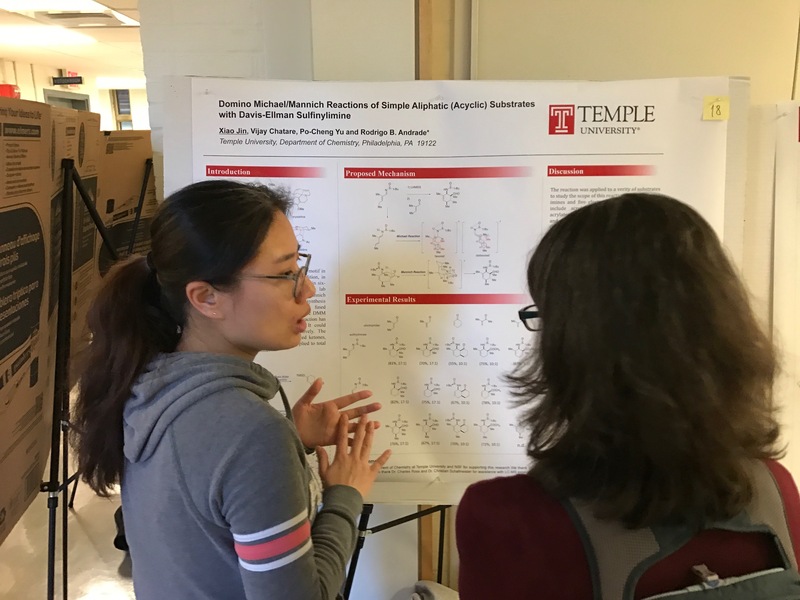 09.24.18 Congratulations to Xiao for successfully completing her Original Research Proposal, “Radical Addition to Imines Initiated by Hydrogen Atom Transfer to Alkenes and Applications to Natural Product Synthesis” and becoming a PhD candidate! 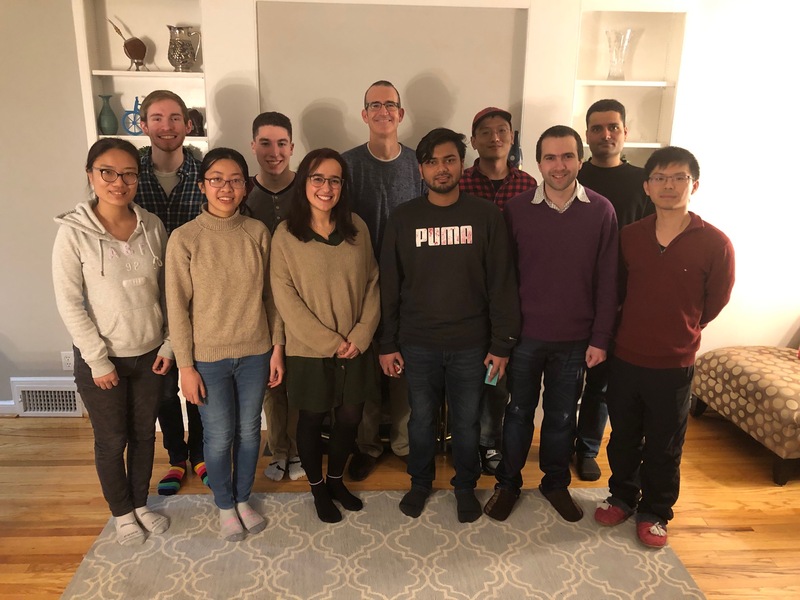 09.17.18 Congratulations to Manish for his paper, “Two Tabersonine 6,7-Epoxidases Initiate Lochnericine-Derived Alkaloid Biosynthesis in Catharanthus roseus” accepted to Plant Physiology! Check it out! 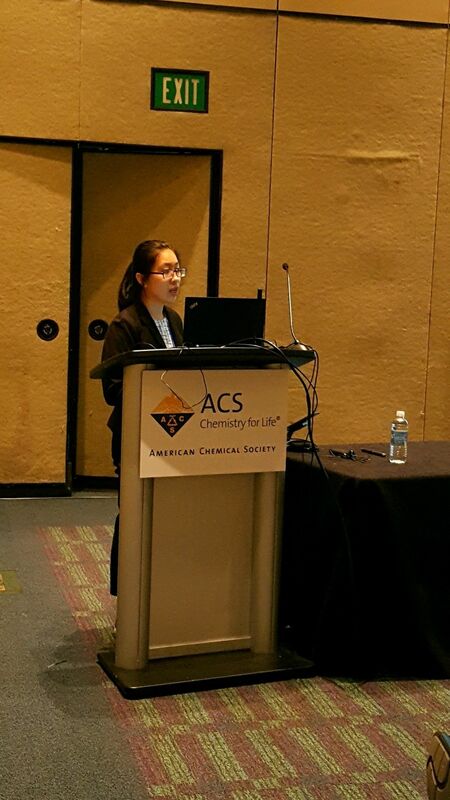 08.23.18 Congratulations to Xiao for her paper, “Ribosome-Templated Azide–Alkyne Cycloadditions Using Resistant Bacteria as Reaction Vessels: in Cellulo Click Chemistry”, and we are in the news! Check it out! 08.17.18 Congratulations to Sam for successfully completing his Original Research Proposal, “Expanding the Scope of Intramolecular Hydrogen Abstraction via an Interrupted-Suarez and Further Synthetic Applications” and becoming a PhD candidate! 03.22.18 Congratulations to Po-Cheng for passing all his cumes! Way to go! 12.02.17 The Andrade Lab would like to extend a warm welcome to Alex Gardner, Jenna Stasko, and Erica Boileau! Welcome to the A Team! 10.12.17 Congratulations to Xiao for receiving Guy Allen Award for Outstanding Teaching! 06.31.17 The Andrade lab sends Dr. Christiana Teijaro warm wishes as she starts her post-doc at the Scripps Research Institute in Florida with Ben Shen! 05.31.17 The Andrade lab sends Dr. Miseon Lee warm wishes as she starts her post-doc at Broad Institute with Amit Choudhary! 05.10.17 Congratulations to Christiana, Praveen, Miseon and Vijay for successfully defending their Ph.D. dissertation! 04.28.17 The Andrade lab sends Dr. Praveen Kokkonda warm wishes as he starts his post-doc at Harvard University with Christina Woo! 04.13.17 Congratulations to Vijay on his paper “Total Synthesis of (-)-Albocycline” being accepted to Angew. Chem. Int. Ed.! Check it out here! 03.31.17 Congratulations to Manish on passing all of his cumulative exams! 12.06.16 The Andrade Group would like to extend a warm welcome to the labs newest member Po-Cheng Yu! 11.29.16 Congratulations to Senzhi on his paper “Development and Scope of the Arene-Fused Domino Michael/Mannich Reaction: Application to the Total Syntheses of Aspidosperma Alkaloids (-)-Aspidospermidine, (-)-Tabersonine, and (-)-Vincadifformine” being accepted to JOC! Check it out here! 11.08.16 Congratulations to Praveen, Miseon and Vijay for receiving the Completion Grant from the College of Science and Technology! Way to go! 10.25.16 Congratulations to Sam for winning the poster presentation award at the NYAS: Emerging Paradigms in Drug Discovery and Chemical Biology! 09.15.16 Congratulations to Praveen for successfully completing his Original Research Proposal and becoming a PhD candidate! 08.26.16 Congratulations to Vijay and Miseon for successfully completing their Original Research Proposal and becoming a PhD candidate! 07.08.16 Congratulations to Senzhi and Christiana on their paper “Concise Syntheses of bis-Strychnos Alkaloids(-)-Sungucine, (-)-Isosungucine, and (-)-Strychnogucine B from (-)-Strychnine” being accepted in Euro. J. Chem.! Check it out here! 06.01.16 Congratulations to Praveen and Christiana for receiving the Daniel Swern Research Fellowship! 02.19.16 Congratulations to Sam on receiving the College of Science and Technology Outstanding Teaching award! 02.12.16 Congratulations to Ian, Christiana and Sam on their paper “Ribosome-templated azide−alkyne cycloadditions: synthesis of potent macrolide antibiotics by in situ click chemistry” being accepted to JACS! Check it out here! 01.11.16 The Andrade lab sends Senzhi Zhao warm wishes as he starts his post-doc at the University of Delaware with William Chain! 11.25.15 The Andrade lab would like to extend a warm welcome to Manish Walia! 09.16.15 The full account of the trials and tribulations on the Desmethyl Marcolide project titled “Total Synthesis of Desmethyl Macrolide Antibiotics” was accepted to Synlett and dedicated to the memory of former lab member Dr. Tapas Paul (1976–2012). ‘Chemistry creates its object.’ – Marcelin Berthelot (1860) Check it out here! 08.27.15 Congratulations to Praveen and Keaon on their paper “Biomimetic Total Syntheses of (−)-Leucoridines A and C through the Dimerization of (−)-Dihydrovalparicine” being accepted to Angew. Chem. Check it out here! 08.14.15 Congratulation to Miseon and Vijay on receiving the the Guy Allen Teaching Award! 04.09.15 Congratulations to Christiana, Senzhi, and Praveen on their paper “Total Syntheses of (–)-Alstolucines A, B, and F, (–)-Echitamidine, and (–)-N-Demethylalstogucine” being accepted to Synthesis and making the front cover! Check it out here! 03.11.15 Congratulation to Senzhi on receiving the College of Science and Technology’s Outstanding Research award and to Christiana on receiving the College of Science and Technology’s Outstanding Teaching award! 11.24.14 Congratulations to Christiana, Chary, Senzhi, and Praveen on their paper “Synthesis and Biological Evaluation of Pentacyclic Strychnos Alkaloids as Selective Modulators of the ABCC10 (MRP7) Efflux Pump” being accepted to J. Med. Chem. Check it out here! 07.22.14 Congratulations to Ian and Miseon on their paper “Desmethyl Macrolides: Synthesis and Evaluation of 4-Desmethyl Telithromycin” being accepted to ACS Med. Chem. Lett. Check it out here! 06.22.14 Good luck to Ian as he starts his 1 year co-op at GSK! 04.01.14 Congratulations to Christiana on receiving the NSF graduate research fellowship! 02.01.14 Congratulations to Chary, and Praveen on their paper “Synthesis and evaluation of Strychnos alkaloids as MDR reversal agents for cancer cell eradication” being accepted to Bioorg. Med. Chem. Check it out here! 12.18.13 The Andrade lab extends a warm welcome to Samer Daher and Xiao Jin! 11.20.13 Congratulations to Christiana on passing all of her cumulative exams! 09.17.13 Congratulations to Bharat and Ian on their paper “Desmethyl Macrolides: Synthesis and Evaluation of 4,8,10-Tridesmethyl Cethromycin” being accepted to ACS Med. Chem. Lett.! Check it out here! 08.23.13 Congratulation to Senzhi on his paper “Domino Michael/Mannich/N-Alkylation Route to the Tetrahydrocarbazole Framework of Aspidosperma Alkaloids: Concise Total Syntheses of (−)-Aspidospermidine, (−)-Tabersonine, and (−)-Vincadifformine” being accepted to JACS! Check it out here! 06.18.13 Good luck to Justin as he starts his 1 year co-op at GSK! 05.15.13 Congratulations to Bharat Wagh for successfully defending his Ph.D.! 12.16.12 The Andrade lab extends a warm welcome to Christiana Teijaro!